Named as one of Australia’s 100 Women of Influence by the Australian Financial Review in 2014, it is not surprising that Dr Kirstin Ferguson has held multiple senior leadership governance positions across a variety of industries and organisations, completed three university degrees and conducted leading research on better ways to approach corporate safety governance and safety leadership. “One thing I love about my career is never knowing what might be around the corner. I focus on doing the best job I can with every opportunity I am given, and from there other opportunities tend to emerge,” Kirstin said. Kirstin is currently an independent non-executive director of two ASX listed companies CIMIC Group Ltd and SCA Property Group Ltd, the Australian Broadcasting Corporation, a significant private manufacturing company Hyne Pty Ltd, and the Queensland Theatre Company. She began her career in the the Royal Australian Air Force (RAAF) and commenced a Bachelor of Laws at QUT while she was an Officer based at an F-111 Squadron at RAAF Base Amberley. During her law studies, Kirstin left the RAAF and started working at the national law firm, Norton Rose Fulbright (then known as Deacons). Despite being admitted as a solicitor in Queensland and New South Wales, Kirstin chose not to pursue a career in law, but continue to build her executive career. “My intention was to complete my law degree, get admitted and then start to practice law in the firm. However I found that my passion was actually on the commercial side of running businesses and I loved leading and managing people,” said Kirstin. After leaving Norton Rose Fulbright to work in the global consulting organisation, Sentis, Kirstin was promoted to CEO. During her time at Sentis, Kirstin was invited to join her first board, SunWater Ltd, and soon began her career as a professional non-executive director. “One of the aspects I enjoy most about my career is the variety of industries, organisations and cultures I get to work with while sitting on boards,” Kirstin said. 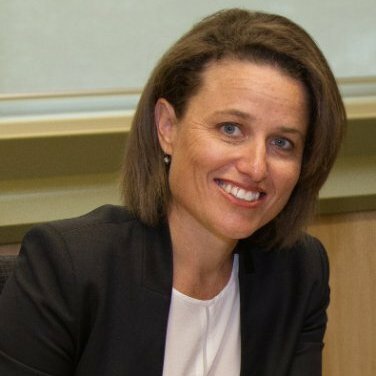 Kirstin became the first female director appointed to the board of Queensland Rugby Union and has also received a number of honours and awards during her career. Kirstin received a Sir Winston Churchill Fellowship, was named as the Australian Institute of Management’s Young Manager of the Year, and received the Australian Institute of Company Directors Talbot Foundation Scholarship. In addition, Kirstin has been named the QUT School of Business Colin Brain Governance Fellow, and in 2015 was awarded the Safety Institute of Australia’s highest research award, the Wigglesworth Medal, for the contribution of her safety governance research to the fields of corporate governance and workplace health and safety respectively. As a graduate of a Bachelor of Laws (Honours) from the QUT Faculty of Law and a Bachelor of Arts (Honours) from the University of New South Wales, as well as a PhD graduate from the QUT School of Business where she is now an Adjunct Professor, Kirstin is a great believer in lifetime learning and education. “I am proud to have graduated from both the School of Law and School of Business at QUT. I completed my Bachelor of Laws at QUT more than a decade ago now and found it an incredibly useful foundation to my business career,” said Kirstin. We asked Kirstin how her law degree has helped her succeed as a director. After ticking a law degree and a PhD off her 'bucket list', Kirstin is ready to pursue her passion for writing, and continue mentoring and the development of her board career. “Beyond that, who knows but I remain excited for the future and ready to seize opportunities as they may present themselves,” said Kirstin. If you are a QUT Faculty of Law Alumnus and would like to gain access to professional and personal development, networking and social activities to help you build connections within your alumni community, get involved with the Law Alumni QUT chapter.